LEGO Dimensions Wave 6 is now available! To celebrate the start of Season 2, I am giving away a LEGO Dimensions Starter Pack with Supergirl for the Playstation 4. Remember Supergirl is currently available exclusive in this “re-packaged” Starter Pack. The giveaway runs now through October 7th. Be sure to come back each day as there are ways to earn bonus entries everyday. 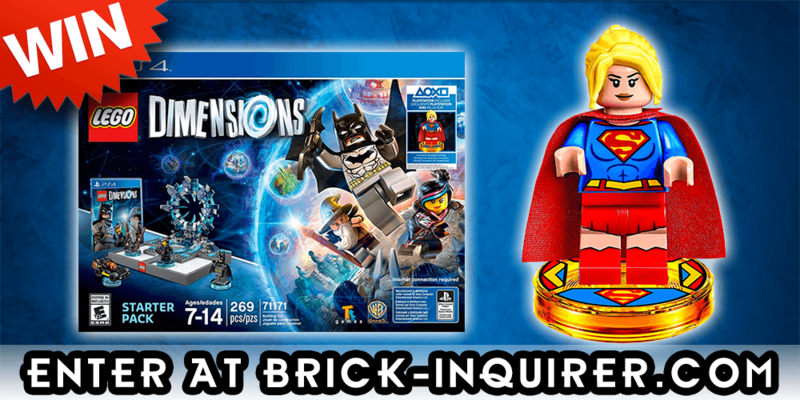 The LEGO Dimensions Starter Pack Supergirl edition is available now, and is on sale at many retailers for $49.99. To enter, simply follow the directions in the widget below or you can head directly to the giveaway page. This giveaway is open to all residents of the United States.